What's up, guys! 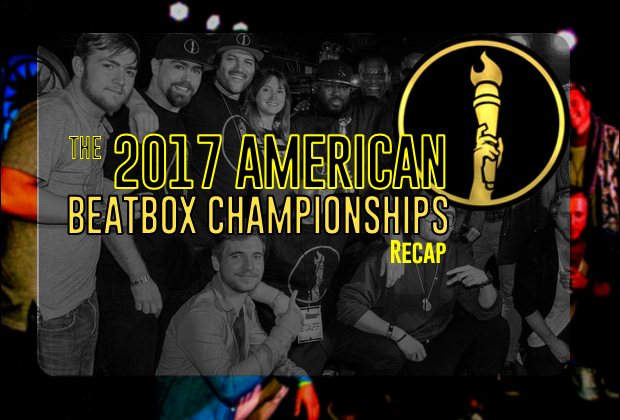 We are still reeling from the 2017 American Beatbox Championship. 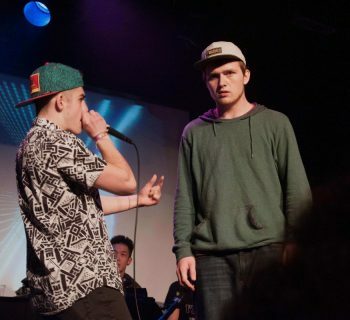 There's something about beatbox events that really get your inner esh flowing within you. I know, I know. You might be asking yourself, "where's Kazu?" Well, sadly, he didn't get to fully experience this year's champs since he was busy with the live stream for most of the night as most of you saw. Hopefully, I get to do this justice! Ok, I think I've done enough talking. Let's get straight to the recap! First things first - New York is really cold and might as well be a part of Canada. 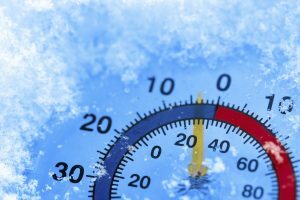 I remember it being a nice 50 to 60 degrees Fahrenheit just the week before and then all of a sudden it dropped down to 30 - conveniently in time for battle weekend. That's enough to get anyone to call an Uber rather walking to the train. Then again, I was born in the Spring so maybe I'm a little biased. Who knows? The Q4 was once again the sponsored hostel for the American Champs weekend. It's located perfectly since it has access to numerous trains and only a 20-minute train ride away from the venue. If you're not aware of the difference between a hostel and a hotel, well you are not alone. I only learned the difference a few months ago. 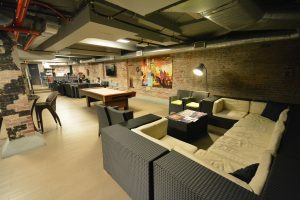 Basically, hostels are for more of a social kind of experience when you stay the night. There are dormitory-like rooms and many communal spaces to make friends from all walks of life. 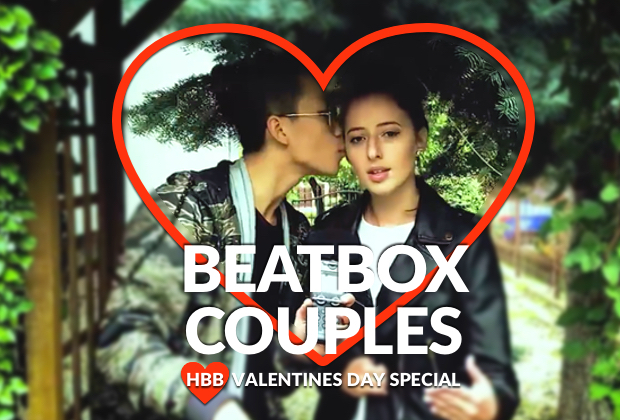 This makes for a great experience for those who have never got the chance to meet the rest of the beatbox family in person! The basement was where it was really popping. There was a speaker setup with mics equipped for jamming out as well as a loopstation which was supplied by one of the guests there. The hottest spot was the ping pong table, surprisingly. I was never much of a table tennis player but it seemed like everybody else was. It was nice to see a lot of familiar faces and a lot of those who were showing up for the first time! As soon as you walk out of the Greenpoint subway station and make your way to street level, the Brooklyn Bazaar is probably one of the first things to catch your eye. At first glance, you would think you're at the wrong place since the place looks very fancy with the shiny windows and gold finish on most of the exterior. You would be pleasantly surprised to see that as soon as you step inside, the venue is a lot homier than you would expect. There's a restaurant/bar on the street level where you could just chill and have a drink with other fellow noisemakers. It was awesome to be able to talk to all the new school kids at one table, move over to a table with Pepouni and his mother, and then find your way to the pool table where Tyla is struggling to get a win. Just a floor below is where the first night of festivities took place. There was one room dedicated purely for jamming and another for dancing the night away to some sick tracks provided by DJ HerShe! No Beatbox House? No Problem! As the logo for this year suggests, it's time to "pass the torch". That's right! 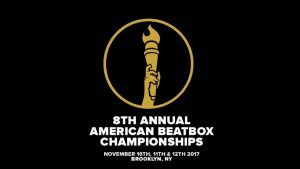 This year, none of the members of The Beatbox House competed in any of the three battle categories. 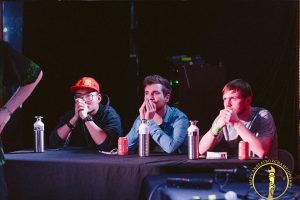 This is honestly a huge development in the American beatbox scene since there has been so much new school talent over in the online communities just waiting to have their chance to shine on the big stage. We've also had some very VERY young competitors this year trying to get that experience so they can one day step up to the battles! Some of you might be wondering (or not), "Doctor Brick, what were YOU up to during champs?" For those of you who don't know, I am one half of the tag team Snakes and Ladders! The other half is the snake to my ladder, HBB's own Alex P! Don't believe me? Check out our ABC submission video! The idea of being in a tag team floated in each of our minds but with the extension of the submission deadline and a thirty minute phone call, we decided to make it a reality. Since we live in two different cities (NYC and Boston) and had only a month of prep time, we decided on a weekend to meet up and really plan out our routines and film our submission video. We even made a playlist of songs that we should cover since coming up with original content takes a lot of time. Fast forward a month and now we're at battle day. Alex and I were completely in the dark when it came to what to expect. Even with all of the teams being announced just days before and having our routines locked down solid, I couldn't help but just feel nervous the whole time. I even screwed up my solo elimination because my mind was just racing! After watching our pals from Fifth Floor rock the stage, we were finally called up to battle. I would have never guessed who we were going to battle in a million years but, lo and behold, standing in front of us was Mahnie - Inertia and Honeycomb. Were we terrified? Oh you know it. Did that stop us from putting on a show? Absolutely not. Even though we lost, Alex and I both had a lot of fun and a lot of the crowd enjoyed our material which, at the end of the day, was all I really cared about. Coming out of this experience, I could tell we had a lot to work on from stage presence to cleanliness of our sounds. Probably the worst thing I did was let my nerves get to me. If you want to learn anything from my experience, just remember that everybody is there to just have fun! I think the highlight for most of us during the last day of champs was definitely the Lifetime Achievement ceremony. Watching THE Rahzel receive this award from THE Doug E. Fresh was an honor to witness. It was very heartwarming to see the Godfather of Noise get so much support and recognition from the whole room, old and new school alike. We heard him talk about his journey as a beatboxer in the world of entertainment from his early gigs at local open mics to international stages! We also got a little history lesson from Doug E. Fresh himself. There was a line that stood out from his talk that I don't remember exactly but I believe it went like, "If you want to get further in your craft, then look to the past." I'm pretty sure we all took a bit of inspiration from that night. 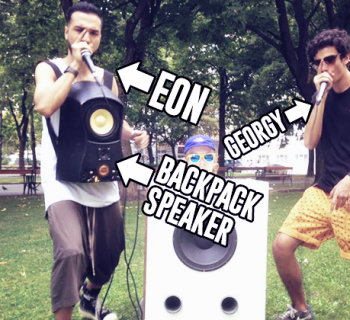 It wouldn't be a beatbox event without some International guests. First off, the judge lineup was dope this year! Sitting alongside NaPoM were Alexinho from France and Zhang Ze from China. And how can it be a battle without Scott Jackson! 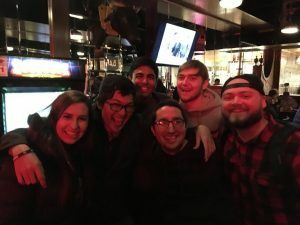 Here are some pics of some other familiar faces and their city escapades! After a foodsession in Chinatown ?? 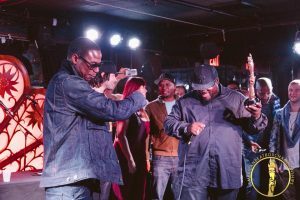 in New York City it’s nice to relax a bit with the beatbox crew ? 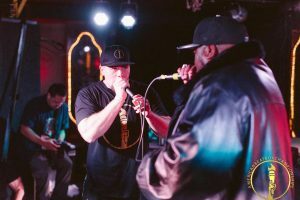 The calmness before the beautiful storm of beatbox power ? I already miss New York.. thanks again guys ?? 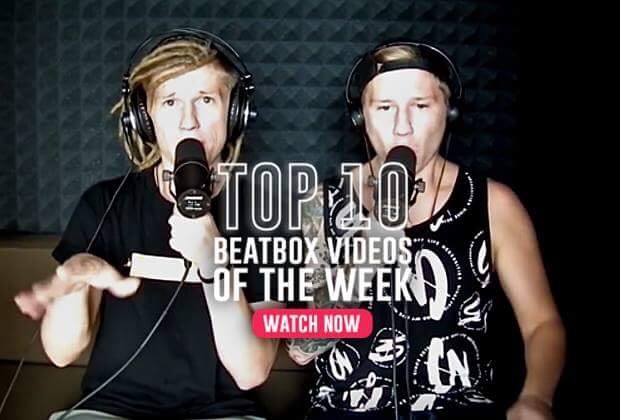 The Beatbox House decided to take some inspiration from World Beatbox Camp and Shootout for some awesome fantasy battles! Talk about a memorable night! This was during the opening night which was in the basement of the Brooklyn Bazaar. It took everybody by surprise when everybody heard that NaPoM was going to face off against Wunkown. We got to see a little freestyle-esque battle between D-Koy and P-Red as well as probably the first ever Triple Solo Battle featuring Villain, Alexinho, and Samy Try! I'm pretty sure there is a video floating around somewhere. I mean, come on. 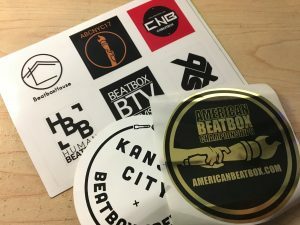 Who doesn't like free stickers? Thank you so much for checking out one of my first original articles in a while! We hope you enjoyed this! What was your favorite part of the American Champs? Do you have any memorable moments from your country's national championships? Share that moment with everybody in the comments! Be sure to let us know if you want to see more of these articles for other championships! 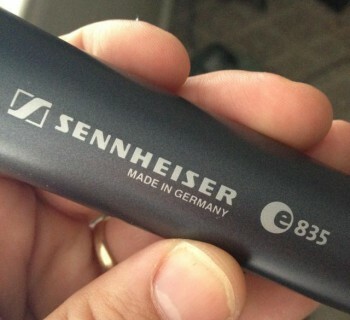 Esh!